MOOSIC, PA. (April 12, 2019) - The Scranton/Wilkes-Barre RailRiders defeated the Buffalo Bisons in a rain-shortened five-inning contest on Friday night at PNC Field, 4-1. The RailRiders have taken the first two games of the series from the Bisons and are above .500 for the first time this season. Buffalo struck first in the top of the second inning against Scranton/Wilkes-Barre starter David Hale. With one out, Jordan Patterson connected on a solo home run to left to put Buffalo on top 1-0. Hale (2-0) went the distance for SWB, recording his first complete game of the season while striking out seven and yielding only the one run. The RailRiders took the lead with an offensive explosion in the bottom of the fourth, sending 10 batters to the plate. Ryan Lavarnway's two-run single down the third base line plated the first two runs of the frame, while Zack Zehner and Billy Burns picked up RBIs in the frame against Sean Reid-Foley. Mandy Alvarez led off the bottom of the fifth with an infield single and Gosuke Katoh drew a walk before the tarp was called for due to heavy rain. Following a 50-minute delay, the game was called. Four and a half innings were played and Scranton/Wilkes-Barre, the home team, had the lead making the game complete. 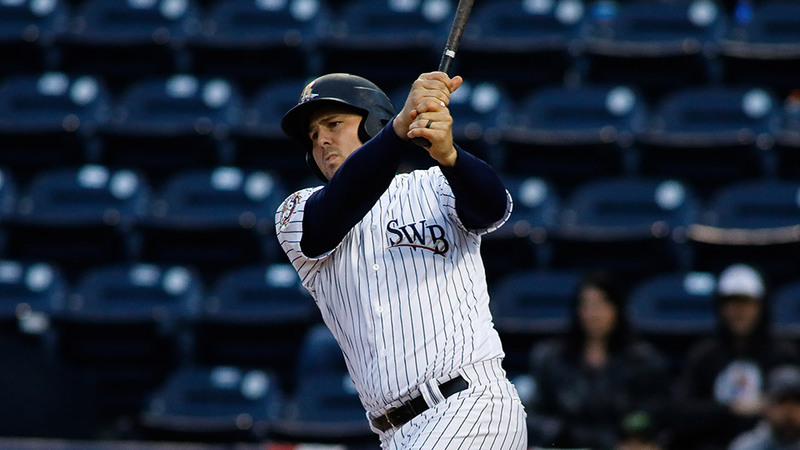 The RailRiders are back in action against Buffalo at PNC Field on Saturday afternoon. 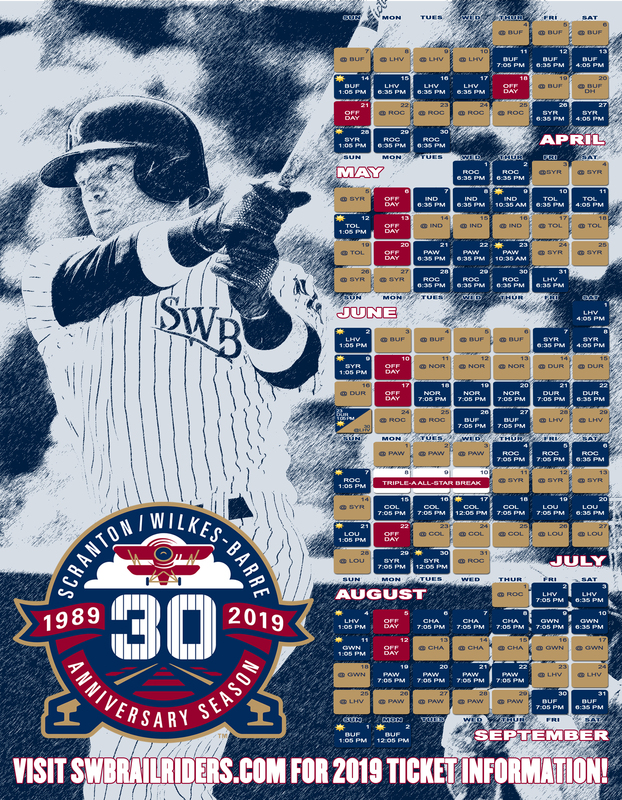 First pitch is scheduled for 4:05 p.m. For tickets and more information, call (570) 969-BALL or slide to www.swbrailriders.com/tickets.